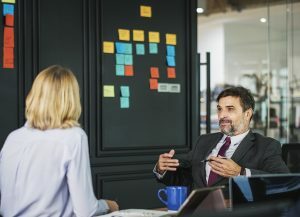 One of the recurring themes that comes up when I am coaching and working with people in positions at all levels of an organization is the topic of hearing feedback. Almost everyone I’ve had the opportunity to work with has suffered from the same blind spot. Hearing constructive criticism effectively. We all like to hear the positive praise we get for doing our jobs effectively. And we all want it so much that most often that’s all we listen for. 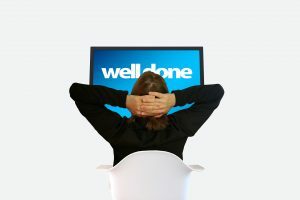 We get so caught up in the praise that generally precedes constructive criticism that we miss the most critical word in the feedback we are getting. BUT. In almost every management, leadership, and coaching class I have been a part of we are taught to give candid feedback in a positive way. Some courses are actually explicit about starting with praise and then following with the constructive criticism or negative feedback. Regardless of how you are taught, however, it is human nature to want to couch negative feedback we need to give inside some positive feedback. We don’t like hurting other people’s feelings, so we temper our real feedback by including a bunch of positives. The result of this approach is that quite often the person we are giving feedback to only hears the positives we share. After all, they don’t like to be criticized either. So at the end of the conversation, the leader feels good because they provided the negative feedback in a positive way, and the coachee feels good because they only heard positive things about their work. Win-win right? Except that nothing was accomplished. Nobody learned anything. Nothing will change. My intent here isn’t to get leaders to change how they give feedback. While it might be a noble pursuit, there are a lot of leaders out there who suffer from this, and I don’t feel like this forum is going to change that. I intend to help you as the recipient of feedback hear what is being said effectively. This is your reminder to “listen for the but” and then capture the constructive criticism so you can improve. Jim, you’re doing a fantastic job pulling the team together on this project. Everyone is getting along great and I can see what a positive culture you are creating. Well done! But, I really would like you to focus a bit more energy on keeping the schedule and risks up to date. It’s not like things are awful, but it could use some improvement. Can you keep an eye on that for me? Jim, your management of the schedule and risks really needs work. Regardless of how well the team works together and likes each other, we aren’t going to be successful if we can’t see the issues coming at us. I really need you to put a lot more attention on getting ahead of our schedule and risks. I know you can do it. If his manager had just been clear with Jim, it would have been obvious to him. He had let his eye off the ball on some of his core responsibilities, and he needed to refocus. And while it might sting a bit to realize that, his manager believes in him and he can go back to work and shore up the areas where he needs to focus. Alternatively, if Jim had trained his ear to “listen for the but” he would have heard that same message either way, and he would have identified an area that he could improve himself. He would focus on what matters and enhance his career potential. And if he does it right, it doesn’t matter how his manager tells him. Don’t get me wrong; I’m not suggesting you completely ignore the praise that you get. It is important for us to know what we are doing well too. But we are willingly creating blind spots for ourselves if we willfully ignore the “but” and what follows. In most cases, the feedback after the “but” is the most important thing for you to hear. Get caught up in the positive, and you’ll miss what really matters. The trick is in listening for and embracing the balance. Be proud of yourself for the things you do really well, just don’t get caught up in them. They aren’t holding a parade in your honour, after all, it’s just a bit of positive feedback. Then get yourself back on track and hear the part that matters – where you can improve. We have all likely been exposed to the concept of strengths-based leadership and coaching, which has gained momentum over the past decade. We are encouraged to focus on our strengths and find roles and opportunities that align with them. But most likely, regardless of how hard you work at it, you aren’t going to find a role that plays 100% to your strengths. There will be areas of your job that fall into the “weaknesses” category, but you still need to do them. So ignoring the weaknesses that matter by ignoring or missing the constructive criticism you receive can actually limit your career growth and opportunities for the future. Culture and team building are critical parts of a project manager’s job, but so are attention to detail, scheduling, risk management, and administrative record keeping. Just building a great team won’t make you a great project manager. But being amazing at building a team, good at scheduling and risk management, and adequate at record keeping just might make you exceptional. It sometimes isn’t easy to “listen for the but”, but if you can train yourself to keep balanced and focused on hearing from it, you create a tremendous opportunity for growth in yourself. We all like to hear the positives, and I won’t ever take those away from you, but don’t get caught up in them. Recognize that most managers are terrible at giving candid, constructive feedback. They are going to tell you all the positive things first, and then follow with a softened version of what they really want to share. If you listen carefully, hear the feedback, and then make positive changes by focusing your energy on improving, you make yourself look great, and you make your manager feel even better. Constructive criticism is a tremendous gift. It is the gift of growth. But only if you “listen for the but” and take advantage of it.